The University of Phoenix is a for-profit educational institution. 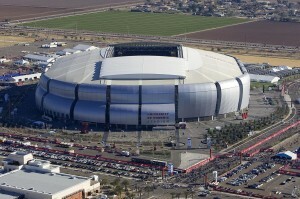 The school is locateded in Phoenix, Arizona. The University of Phoenix was created by John Sperling in 1976. The University of Phoenix is regionally accredited by The Higher Learning Commission. The University of Phoenix is also part of the North Central Association of Colleges and Schools. It is one of the largest post-secondary educational institutions in North America. The University of Pheonix boasts over 200 campuses worldwidem making education at this institution very accessible. The school also offers degrees and certifications in over 100 programs. The programs are offered at many levels including Associate, Bachelor’s, Master’s and Doctoral levels. The University of Phoenix has an open-enrollment admission policy. This means that a high-school diploma or GED is required to be admitted to the University of Pheonix. The University of Phoenix also offers those that apply for Associate or Bachelor’s degree programs to be considered for advanced placement. Advanced placement allows students to earn college credits through essays, corporate training, and certificates . The school specializes in online programs which allow students to learn at a more flexible level. Students enrolled in online programs can use the tutoring and social centers at a local campus. Students also have access to class-specific online resources. These resources help make education more user friendly through the use of an electronic library and other course-related materials. 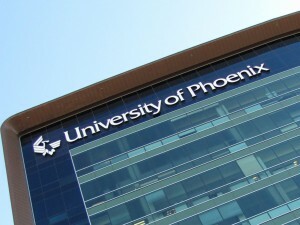 The University of Phoenix offers degree programs at various school including: The School of Advanced Studies, School of Business, College of Criminal Justice, College of Education, College of Humanities, College of Natural Sciences, College of Nursing, College of Information Systems and Technology and the College of Social Sciences. The University of Phoenix also offers continuing education for those who need to be educated in the changes occuring within their given field. The school currently employs approximately 1500 full-time and 20,000 part-time faculty. The University of Phoenix wants to make sure that higher education is achievable for all students who qualify. Financial resources are available to those who qualify through grants, scholarships and financial aid. Tuition at the University of Phoenix varies depending on what course is being taken and at what level. For online classes tuition is charged per educational hour. There are also other fees that students should consider including e-books, online course materials and personal computers.